Ingrid and I have just finished digging out from yet another winter storm . . . we’ve had over 4 feet of snow in the last couple weeks which has limited our Maine birding adventures. When snow is up to your arm pits it’s difficult to prowl the woods and fields. Birding from the car is limited when roadside snow banks are six feet high . . . binoculars can’t penatrate snow. 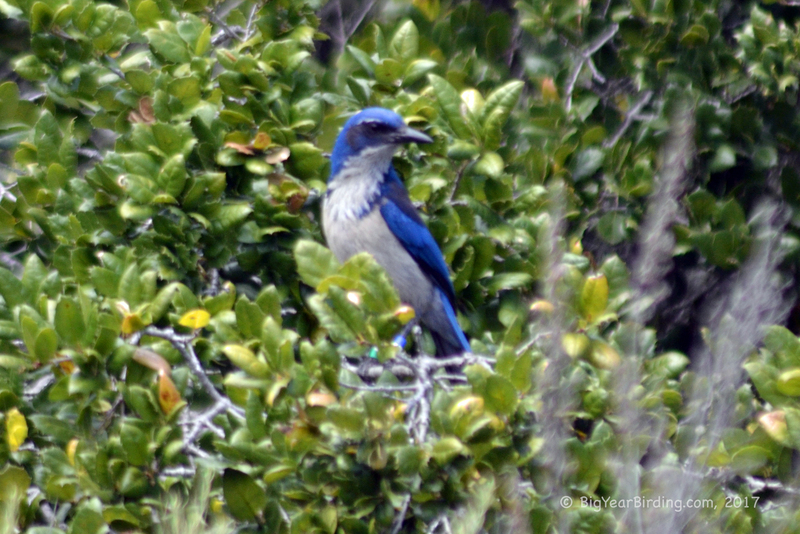 So as we curse the weather, our thoughts go back to April 2015 when we traveled to Santa Cruz Island, one of the Channel Islands, off Ventura, California to find the famous Island Scrub Jay. This stunning bird is found only on this island, North American’s only insular endemic bird. 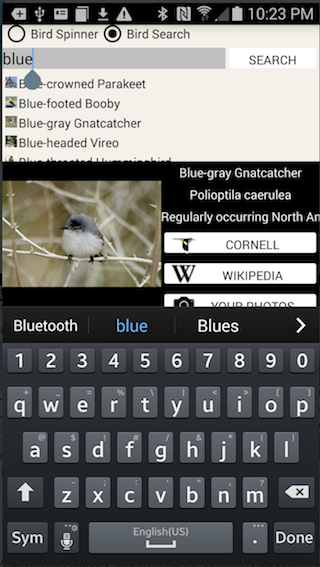 Closely related to the California Scrub Jay, the Island version is noticably bigger, brighter colored and has a stout bill (used to crack the acorns of Santa Cruz’s Island Oaks). The Island Scrub Jay seems unable or unwilling to fly distances over water and has only once been sighted on another Channel Island (in the 1880s) and never on the mainland. There are 9,000 Island Scrub Jays on the 22 mile long island, so short of a fire or disease, this unique species is set to do fine into the future. The ride out to Santa Cruz takes about an hour and was a treat for birders and naturalist alike. Dolphins paced the boat; the world’s second largest animal . 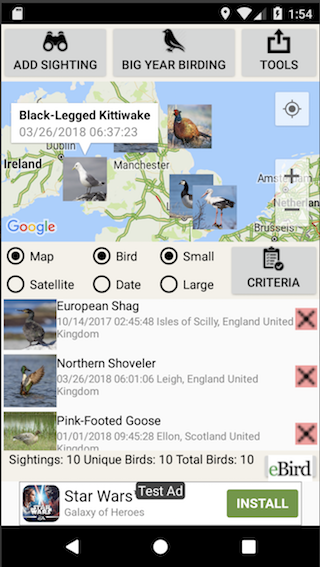 . . the Fin Whale swam by; and we sighted Cormorant’s (Brandt’s and Pelagic), a Sooty Shearwater, a Pacific Loon, Pigeon Guillemonts and Brown Pelicans. As we approached the island, the captain brought the boat to a crawl as humpback whales began to breach. For twenty minutes, whales leaped out of the water all around us . . . making huge splashes in a breath taking display. The captain said it was the best he had ever seen. 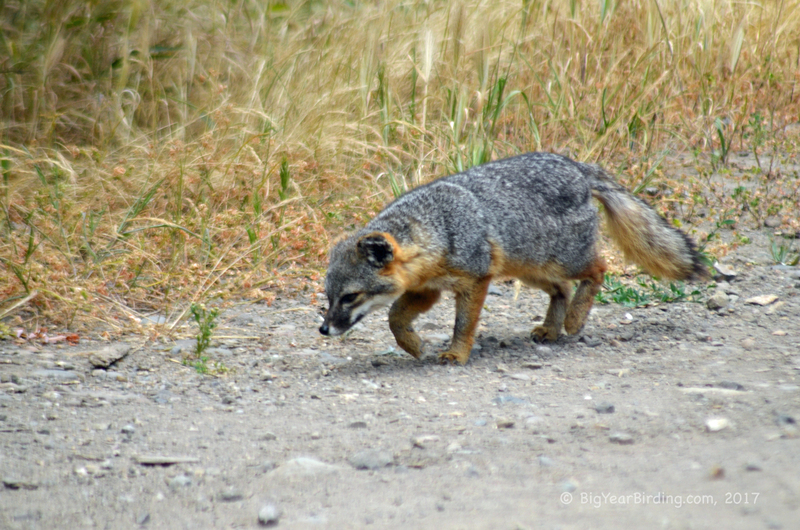 Beside the Island Scrub Jay, we enjoyed the company of Santa Cruz Island’s other famous inhabitant the Island Fox. Found only on Channel Islands, they have no fear of humans and one followed us around for a good portion of the day.